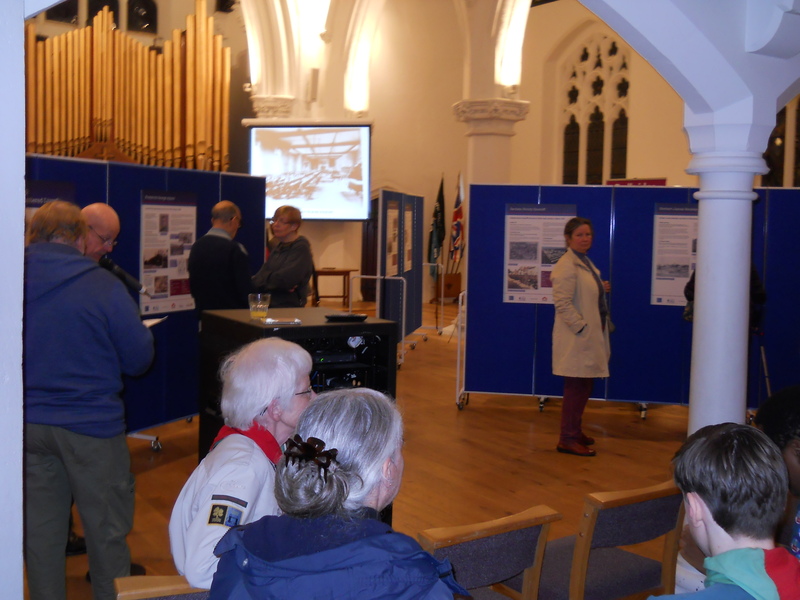 Originally, the ‘Our 15: Remembered Lives’ project was intended as a small-scale piece of research to be displayed at the Church service on Sunday 10th August 2014, held to commemorate the centenary of the outbreak of World War One. It was obvious from the outset, however, that God had other plans for our Church. Interest in the project snowballed from the very start and soon offers of help and a great deal of encouragement arrived from the most unexpected quarters. Information Researcher, Margaretha Pollitt Brown, Maggie, began to receive emails from places as far away as Canada and Australia, as news of the 'Our 15' project spread. for the ‘Our 15: Remembered Lives’ project. Maggie's expectations of keeping the project ‘low-key’ and her involvement ‘minimal’ were not matched by the Holy Spirit, which was sending the project hurtling off into a very different direction from the she had originally envisaged. The funding application process proved to be very difficult and the assessment period long and drawn out. We knew that we were up against a highly competitive batch of applications, but our prayers were answered. Those of you who attended the service in August, on that very special summer’s day, would have felt the Spirit at work. The service was made even more uplifting and poignant because we were joined by several family members of 'Our 15' as well as many dear friends of our fellowship. What does this project mean for us? At the beginning of 2014, we placed the new notice board outside our Church. It is proclaiming our very existence within this prominent, newly refurbished building, just off Wanstead High Street. It is telling the world we are alive in the 21st Century and open for business. It is saying that God is alive and what happens inside (and outside) this building witnesses for us. We have a beautiful space inside our Church which, to date, many groups, individuals and organisations are enjoying. It is also a perfect space for launching the 'Our 15' project, with the first of several Exhibitions and a new publication. 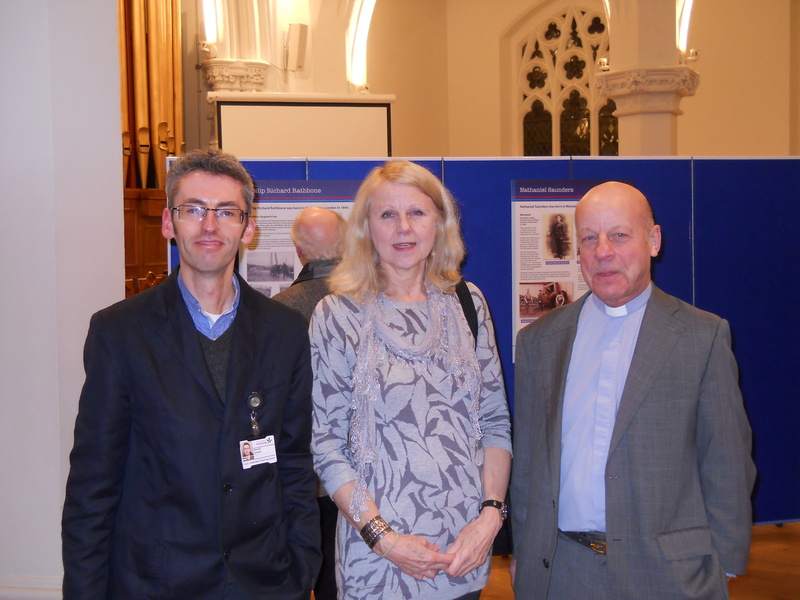 Gerard Greene, the Director of Redbridge Museum and a new friend of our Church, and his staff are were soon creating the 'Our 15' Exhibition, using the research work displayed at the August service. Gerard is pictured with Maggie below. God has many ways of channelling grace into the World. He has given us a perfect opportunity to engage personally with our local community and indeed the wider public. Those who come to the 'Our 15' Exhibitions can catch a glimpse of us, many for the first time. They may feel intrigued enough to follow up with a visit to us when we are together worshipping God. When the first exhibition opened on 21st November, 2014, I could not envisage where my little bit of research work was leading. Now I am convinced that God is calling us as a congregation to use this opportunity to engage with our local community and our neighbours. Yes, it is not a conventional way or a way that we are used to, but maybe God wants us to follow an unconventional route, the way He has chosen for us. The Exhibition returned on Sunday 19th April to Friday 8th May 2015 . The success of the 'Our 15' project depended almost entirely on members of our fellowship who offered time to host the exhibition. With people to meet, greet or simply smile at our visitors, to help with coffee and teas or tidying up at the end of the day we opened our Church and our hearts to the local community who must know now that we are happy to meet our neighbours who are always welcome.